BE IT REMEMBERED that the Board of Supervisors of Winston County, Mississippi, held a meeting at the Courthouse in the City of Louisville, Mississippi, at 9:00 am, this the 21st day of January, 2014, the same being duly noticed and posted to all necessary parties. Present and constituting the Board were Honorable James “Burr” Warner, District One; Honorable Luke Parkes, District Two; Honorable Mike Peterson, District Three; Honorable Gloria Turnipseed, District Four; and Honorable Larry Duran, District Five. Also present were Hugh Hathorn, Board Attorney, Honorable Jason Pugh, Sheriff of Winston County, Honorable Julie Cunningham, Chancery Clerk of Winston County, Honorable Larry Woodward, Tax Assessor-Collector of Winston County, Joseph McCain of The Winston County Journal, Jimmy Lovorn, Bookkeeper Debbie Sullivan. Also present were William McCully of Winston Web News, Carolyn Hampton, WCCRCF Warden Neal Higgason, Deputy Keith Alexander, Jerry Hemphill, Patsy Patterson and Spencer Broocks of GTPDD, and Jimmy Kemp. The period to sign up for Homestead Exemption is now open until March 31, 2014. 2. You have become single or have married. 3. You have turned 65. 4. You have become disabled. Please call the Tax Assessor’s Office at 662-773-3694 or the Chancery Clerk’s Office at 662-773-3631 for more information. BE IT REMEMBERED that the Board of Supervisors of Winston County, Mississippi, held a meeting at the Courthouse in the City of Louisville, Mississippi, at 9:00 am, this the 6th day of January, 2014, the same being duly noticed and posted to all necessary parties. Present and constituting the Board were Honorable James “Burr” Warner, District One; Honorable Luke Parkes, District Two; Honorable Mike Peterson, District Three; Honorable Gloria Turnipseed, District Four; and Honorable Larry Duran, District Five. Also present were Honorable Jason Pugh, Sheriff of Winston County, Honorable Julie Cunningham, Chancery Clerk of Winston County, Honorable Larry Woodward, Tax Assessor-Collector of Winston County, Sheriff Jason Pugh, Keith Alexander, Jimmy Kemp, Coroner Scott Gregory, Patsy Patterson of GTPDD, Joseph McCain from The Winston County Journal, and Bookkeeper Debbie Sullivan. Also present were William McCully from Winston Web News, Gerald Mills, WCCRCF Warden Neal Higgason, Charles Hampton, Carolyn Hampton, and Buddy King, EMA Director. 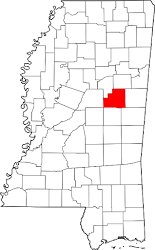 The Winston County Board of Supervisors is considering applying to the Mississippi Development Authority for home investment partnerships program home owner rehabilitation program grant funds for housing improvements in Winston County. The state of Mississippi has been allocated $3,948,129 in home funds that will be made available to cities and counties on a competitive basis to undertake eligible homeowner rehabilitation/reconstruction activities. The activities for which these funds may be used are in the areas of affordable housing for low and very low income persons. More specific details regarding this project application will be provided at a public hearing which will be held at the Courthouse in Louisville on January 23, 2014 at 10 AM. The purpose of this hearing will be to obtain citizen input into the development of the application. Written comments will be considered if received owner before this hearing date. This facility is handicapped accessible and any other special services needed will be provided upon prior request to the city. BE IT REMEMBERED that the Board of Supervisors of Winston County, Mississippi, held a meeting at the Courthouse in the City of Louisville, Mississippi, at 9:00 am, this the 16th day of December, 2013, the same being duly noticed and posted to all necessary parties.